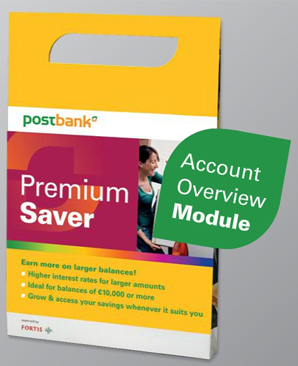 Postbank required the development of an e-learning solution to be rolled out in stores across the country to provide staff with training on a number of new saving account options. 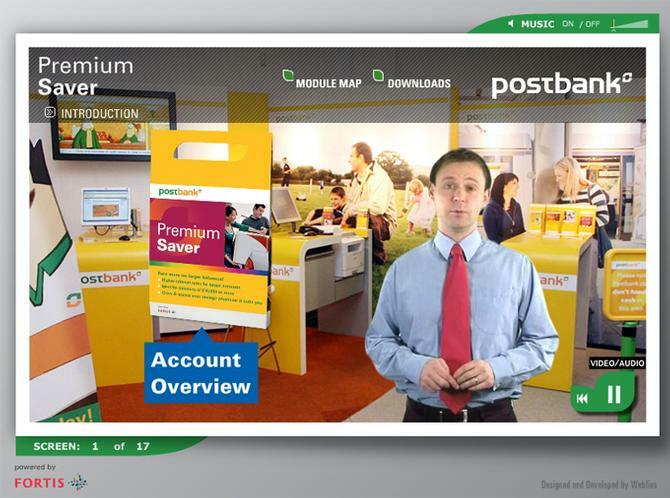 Existing content developed by Postbank was to be transformed into an attractive and innovative e-learning solution and made available via the internal Learning Management System (LMS). CIT, in partnership with Webfios - a leading Irish-based e-learning company with offices in Dublin, Cork and the UK, developed a wide-ranging and innovative e-learning solution for Postbank, including the development of content from SMEs into appropriate online material, the use of instructional design to transfer this content into an appropriate and pedagogically effective e-learning format, the development of this content into a series of video and animation-based multimedia courses (including “play through” animations, interactive animations, quizzes, tests, games, simulations, etc. ).